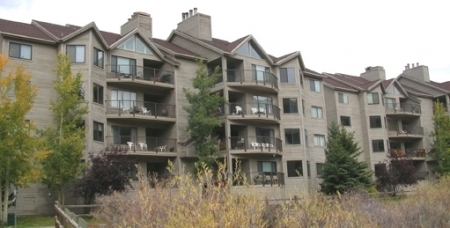 The view above is the view you\'ll see from the deck of this luxury Keystone condo. That hot tub above is the hot tub in this luxurious condo! The entire length of the condo faces the slopes, so you see this view from the living room. From the dining room. 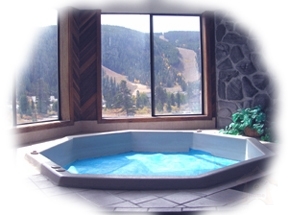 From the private hot tub room AND from the master bedroom.